SS now, OTP 8/24. Outstanding Tuxedo investment opportunity! Priced WELL (65K) below city assessment! On a street with million dollar properties. Plenty of room for investors, flippers, or first time buyers. Large 75 x 130 ft lot with mature trees and fence. A perfect layout includes: large eat in kitchen, hardwood floors, fireplace, full basement, double attached garage. Four beds, 2.5 baths. A great place to raise a family. 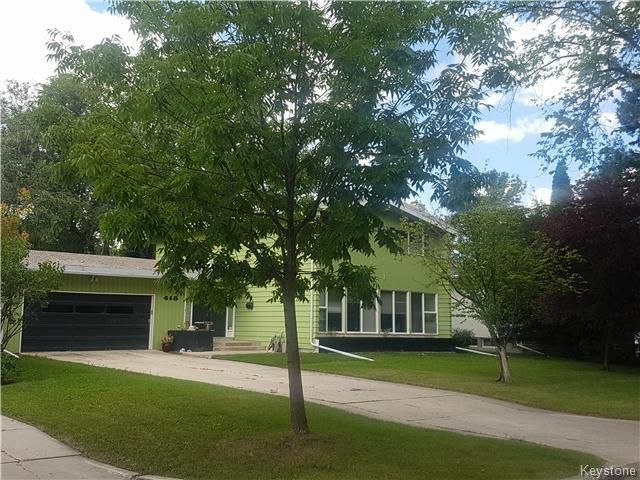 Walking distance to Assiniboine park, schools, and the shops of Tuxedo Square. Just do your own renovations to make it yours. Tuxedo expert realtor! 80% of millionaires became so through real estate, get in on the main floor!